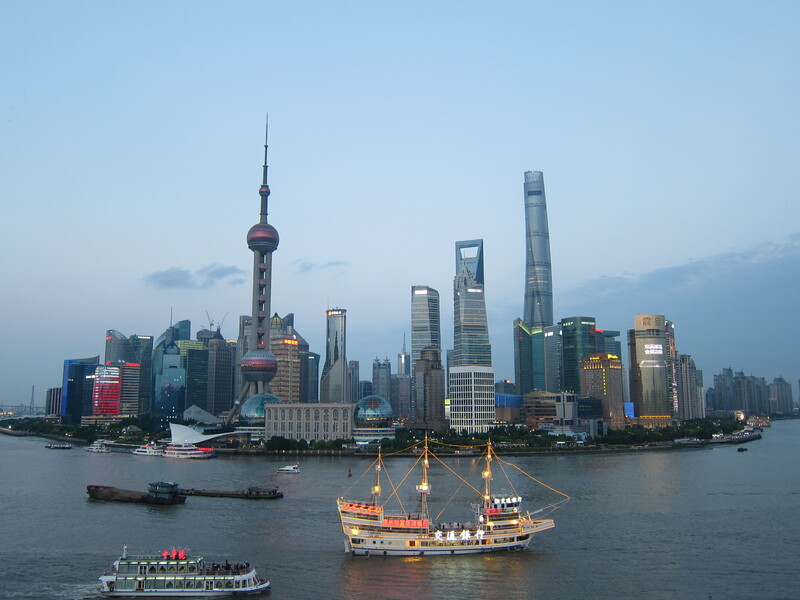 I have been in Shanghai (and other parts of China) tens of times. It was my previous job as a chemicals buyer that brought me to the region and to be honest I saw more industrial estates than actual culture. So it was wonderful to get to know Shanghai again with a different pair of glasses – a wine enthusiasts eyes. My expectations were not low per se, but I was expecting big brands and high price tags to be the common denominator. I am glad that I was at least partly living in the past. Shanghai is a melting pot with expats and student from around the world mixed with the growing liberal and curious local upper and middle classes. Wine has already made its way to the city life and it will not take long for it to boom. Perhaps it aleady has. 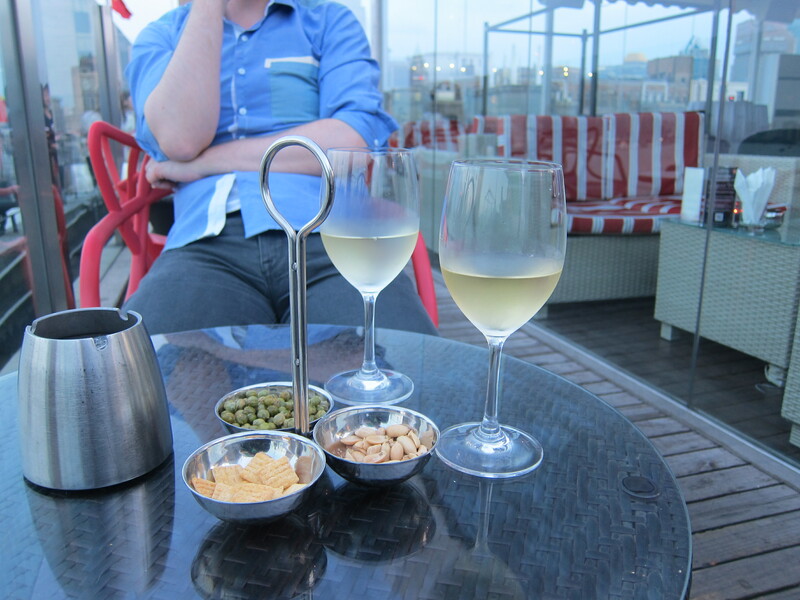 M had done some homework and had selected around six to seven different wine bars to try out. We did not have time for all of them, but I will list them in the end, so anyone with an interest can go and check them out. However, there are some differences to the western wine-culture so here are the five things you should know about Shanghai and wine. 1. There is a clear preference to French wine. This may come with the history of French influences or the large expat community, but every wine bar in town is serving a wide range from France. Other wine countries include Australia and New Zealand, due to their geographical “closeness” and Italy with Prosecco as the less expensive bubbly on the market. Spain and Portugal were not widely represented, nor was America or South America and South Africa. 2. The prices for wine are in general high. This comes from a bunch of logistical and political reasons, duties etc. But mostly due to wine being a drink for foreigners. It is not often understood what is a reasonable price level for a tourist. Would you be happy paying 10-20 Eur for a mediocre glass of wine? We live in Stockholm where prices are also high, but due to the Swedish currency being weak, the prices in China are elevated for us. Don’t get me wrong, we found many places with some reasonable pricing, but in general one should not expect Shanghai to be cheap. 3. Smoking is allowed inside. If you were intending to have a nice relaxing moment with you glass of wine breathing in the beautiful aromas, you can forget about it. There will be at least a few people smoking cigarrettes next to you. It is not something I am used to, but knew in advance, so it was not such a big deal when someone took out their lighter on the table next to us. If you want to avoid the smokers, I suggest to find a nice rooftop terrace with a breeze. 4. Bars are (usually) open every day of the week, but have a plan B if your selected hangout is not open (or has suddenly moved). Sometimes the internet is wrong (or has old information). 5. Local wine is expensive, but that has nothing to do with quality. Local wines cater to local tastes. The wines are often sharp in taste, high in alcohol and have an oxidized character to them. I am not saying there is no good local wine, I have just tasted a few. But be prepared for a different palate than what we Eurooeans are used to. China has a lot of potential for future vinegrowing and I believe some day we will see great things happen. But today is perhaps not yet that day. (6.) And here is an extra treat for you: The local saying “kam pai” (kam bei) does not really mean cheers in the same way that we understand it. In reality it means bottoms up. So if someone raises their glass to you and says these words, you are expected to empty the whole glass with one gulp. 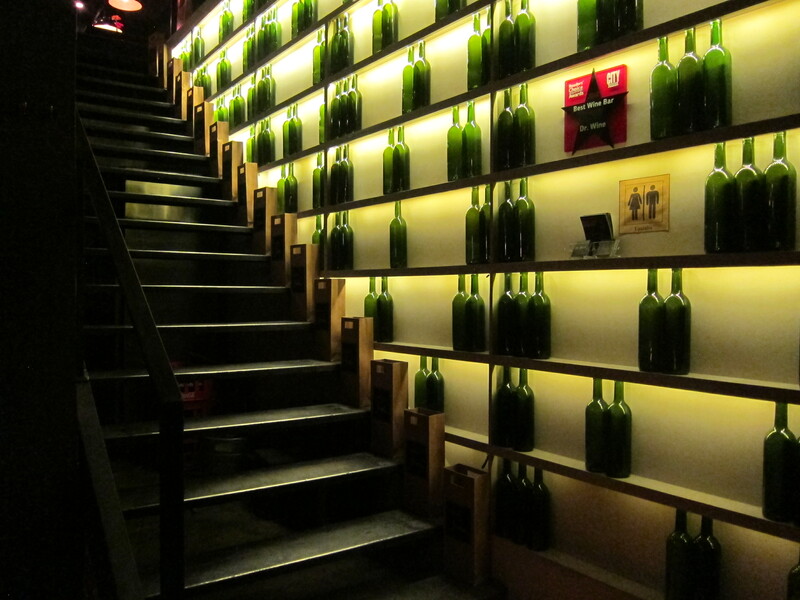 Here is our list of wine bars to try out and visit. I will review the ones we had time for in future posts. Roosevelt Wine Cellar, Dr. Wine, Project Wine, Le Vin, Napa Wine Bar & Kitchen and Wine Must. I have never really been a fan of the local (Catalan) beer brand Moritz but I was still somehow convinced to visit their combined brewery, restaurant, shop, bar and wine bar called Fabrica Moritz. The place has been extensively renovated and I will happily admit that it does look really nice. They are also making some special beer (not available elsewhere) in this location so there are actually some much nicer beers here than what is normally available under the Moritz brand. It also means that it is not just a design and concept idea since they actually produce beer here as well. What however did surprise me immensely was first that the food was pretty decent and second, which is the main topic of this post, that they have an excellent wine bar called Bar a Vins. When I was browsing their standard wine list I did find some pretty decent wines and what I really liked was that it was possible to also have really small sips of the wine. I then started asking a bit about the wines and was then brought the full wine list and they asked if I also wanted to have a chat with the sommelier. Really appreciate that it was possible to order the full range of wines while seated in the restaurant and the good service attitude. The set-up of the wines are a bit different than in some other places I have been. It is possible to order in three different ways: by weight, by the glass or by the bottle. Most of you are probably familiar with by the glass and by the bottle but the ‘by weight’ is perhaps a bit new. They are using a system with argon gas canisters on the bottle allowing to take small amounts out without damaging the remaining wine. It is very much similar to the Coravin system but this was from what I could see a different brand or producer. This does allow one to order either a specific number of grams of wine or if that is the preference order for an amount of money (and you will then be poured as much as that amount will buy you). 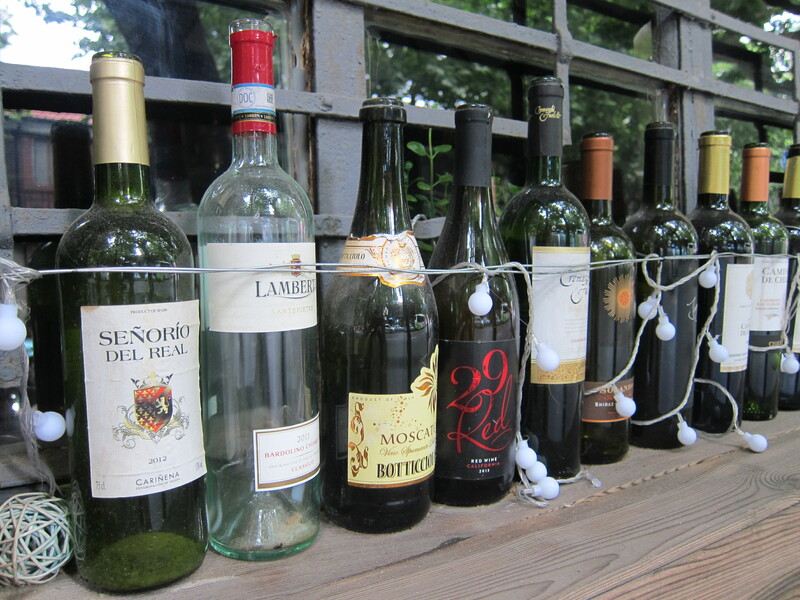 There are around 40 wines available by the glass (and by weight) and in addition to that more than 400 by the bottle. Spanish wines are very well represented here but there are international wines available. I did to my surprise find the excellent Carousel from Alvaro Castro (of Quinta da Pellada) by the glass here. The slight disappointment is perhaps that the selection of Catalan wines was not as good as I would have expected but it is still one of the better ranges of Catalan wines around. I was however happy to see four sparkling wines available by the glass. We sampled nice Cavas here and they also had some Champagne by the glass. A nice touch is also that all the wines served come with a little label around the foot of the glass with information on the wine. The service is very good, friendly, knowledgeable and attentive. 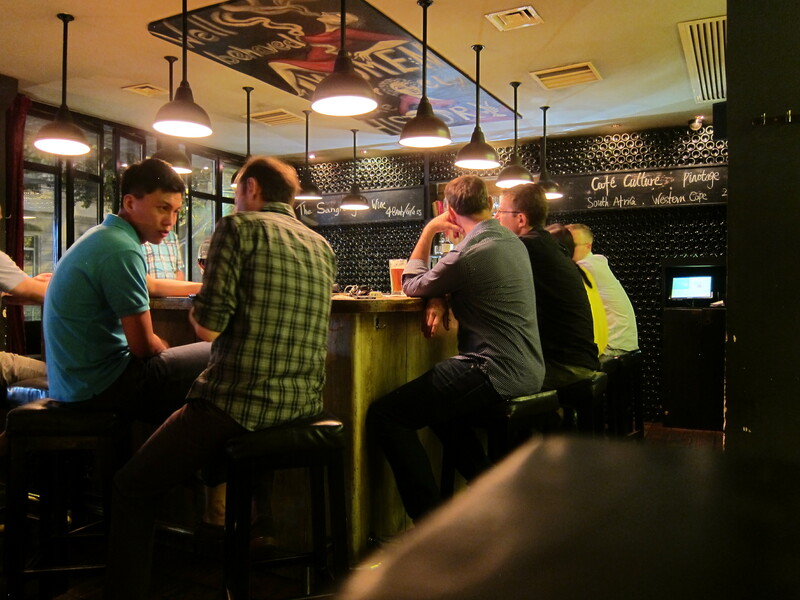 It does seem that the fact that it is in beer brewery makes it a bit more relaxed than some other wine bars. The possibility to order wines by weight also makes more high-end wines available to a wider audience so I think they are doing some really good things for the wine scene in Barcelona. The food is also very nice, and while perhaps not the cheapest meal it is still decent value for money. The design of the place is pretty neat and I do encourage a visit to the toilets as they are pretty nicely designed as well. One objection I have is that it tends to get fairly loud as many people who go to the beer bar seem to be there more to drink a lot of beer than to sample different things so I do in general prefer to sit in the smaller space at the Bar a Vins than in the actual restaurant. Spring is in the air and I am eagerly waiting for our trip to Champagne next week. On Monday the 20th of April, The Winecurious is attending Terres et Vins de Champagne, a festival dedicated to grower Champagnes held in the town of Reims located 150 km north-east from Paris. While we are anyway travelling via Paris, we thought that we would take an extra day and spend it looking around town. I have been there once before, but it is such an overwhelming city, that there is always more to see. I doubt we will be visiting the Eiffel tower or the Champs-Élysées, but rather going around in wine shops and bars amazing at the selection at hand. 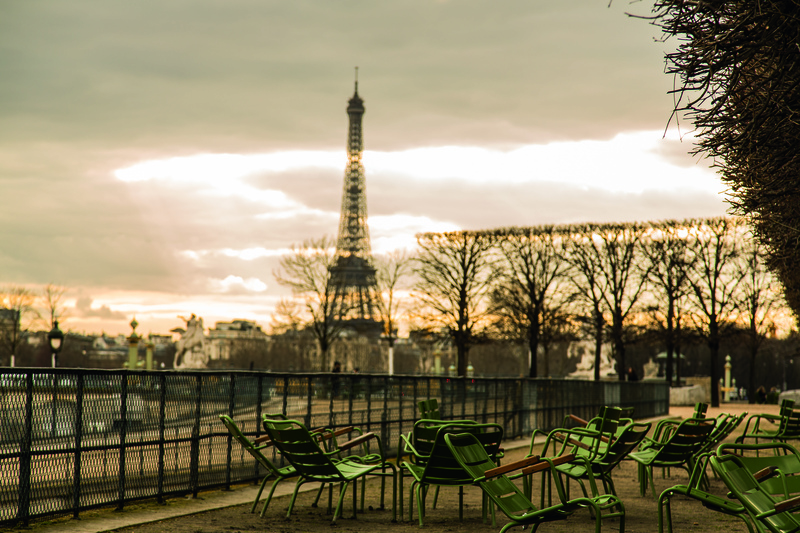 Paris feels like the mother-ship of wine, and we are going to take a trip to “our roots”. 1. Albion: Located close to Gare du Nord train station Albion is run by English chef Matthew Ong and New Zealander barman Hayden Clout, who used to work at the Fish La Boissonnerie. They have a monthly changing selection of wines and some traditional eats such as vichyssoise with oysters, and orange and lemon curd tart. Mmm, sounds good! 2. Le Verre Vole. A hipster spot near Canal Saint-Martin, this bar is considered by many the best new-style wine bar in Paris (I don’t know what new-style bar means, but Parisian hipsters sound like they know wine). 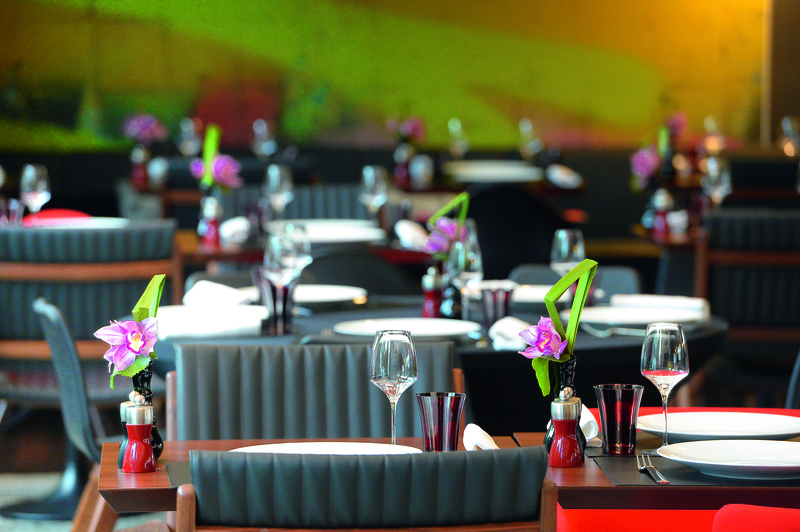 It was recently expanded, making it easier to bag a table – a reservation is probably a must. The tipsters say to check out the wine bottles on display, library-style, on open shelves – perhaps these are the bottles that are open on the day?? The food also sounds awesome with dishes like lamb and fig terrine. Also the cheeses get very positive reviews. 3. Frenchies Bar a Vins by chef Gregory Marchand’s, an annex to his bistro Frenchie. The bar gives a great opportunity to sample his cooking without the ordeal of trying to book a table at the restaurant. Sample is the right word as one can expect excruciatingly small plates of such delights a an earthy terrine de campagne with country bread and smoked trout with cucumber, pickled onions and garlic flowers. I also hear that Sommelière Laura Vidal manages one of the most interesting wine lists in Paris right now. 4. Willi’s Wine Bar owned by Englishman Mark Williamson, who has had a big influence on what Parisians drink today. The crowd is international and I hear there is a brilliant selection of wines by the glass. The menu follows the seasons with dishes such as quail breast on salad leaves with spiced nectarines.